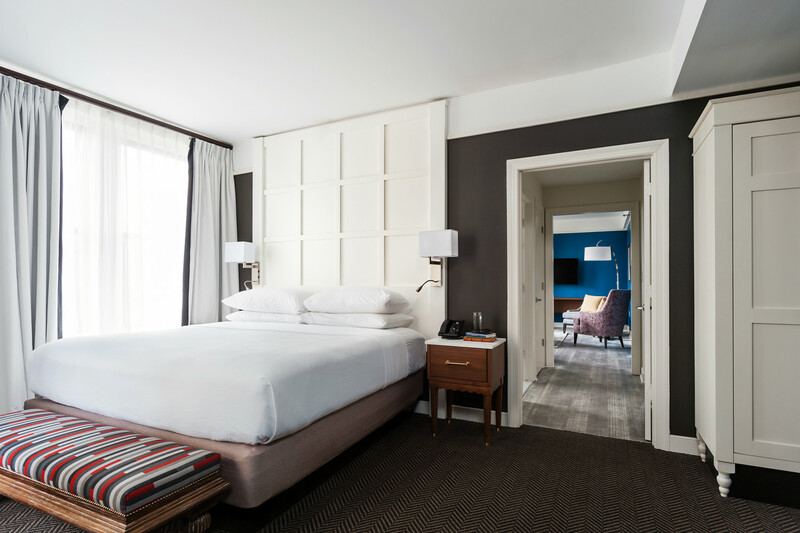 An oversized hotel room with one king or two queen beds. Features a built-in closet system with hanging space, refrigerator/freezer, microwave, coffeemaker and safe. Extra-large work desk and fully adjustable ergonomic desk chair. 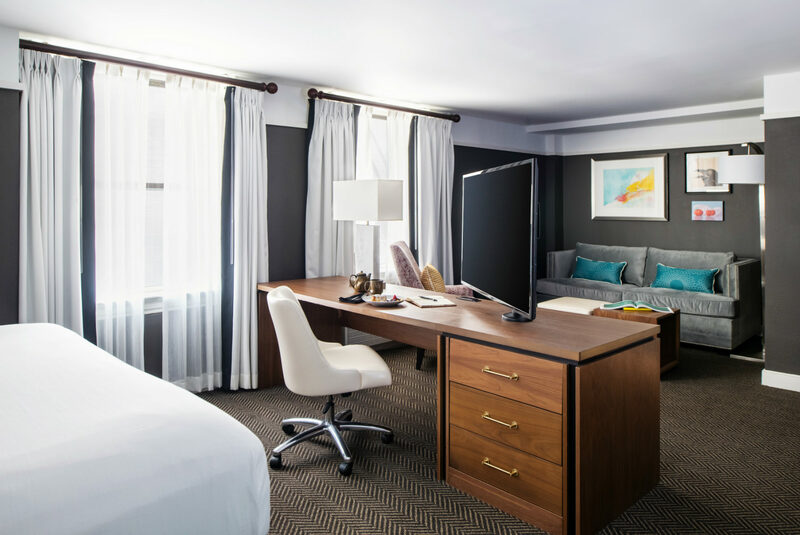 A one-room suite with one king bed, living area appointed with a queen size sleeper sofa, extra-large work desk and fully adjustable ergonomic desk chair. Console stores the refrigerator/freezer, microwave, coffeemaker and safe. Large closet with abundant hanging space. 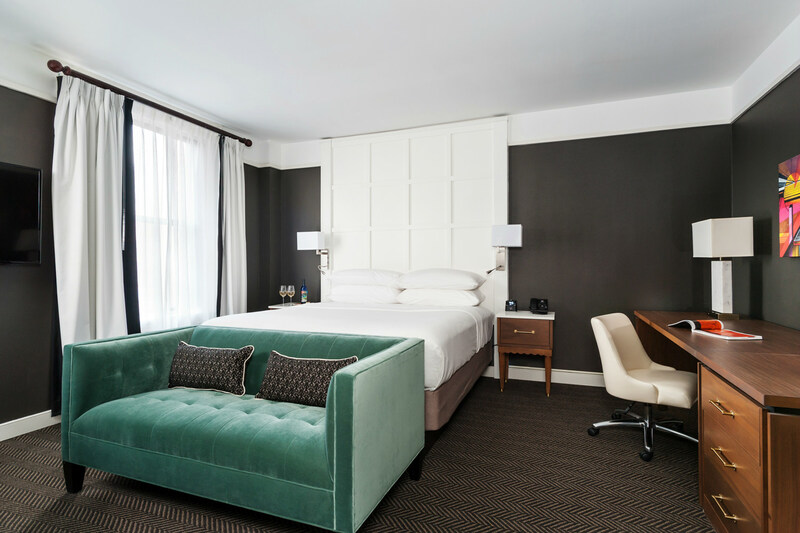 A two-room suite with one king or two queen beds. Living room features a queen size sleeper sofa, lounge chairs, extra-large work desk and fully adjustable ergonomic desk chair. Console stores the refrigerator freezer, microwave, coffeemaker and safe. Large closet in the bedroom offers abundant hanging space. 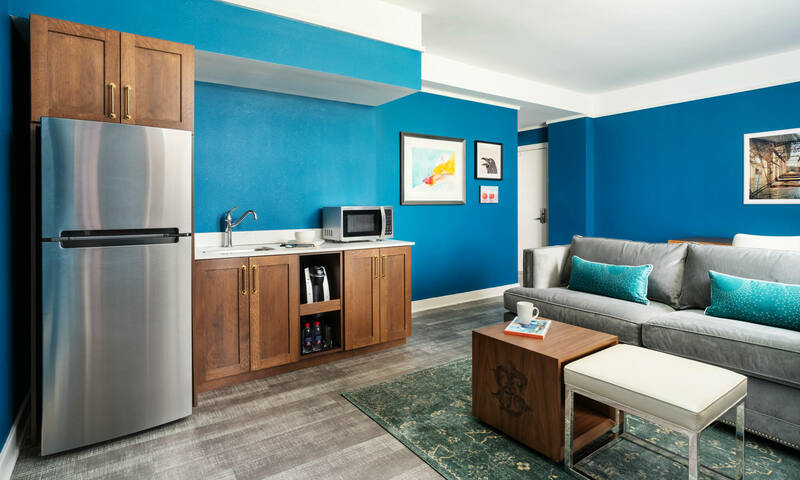 Take a Roomy Suite and add a modern kitchenette, featuring an apartment size refrigerator/freezer, sink, microwave and coffeemaker. And we even stock it with all the dishes, silverware, glassware and kitchen supplies you need.